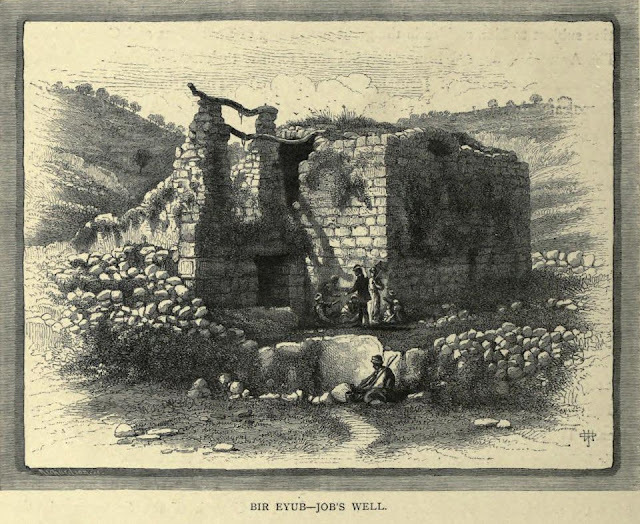 Baedeker 1882 — Baedeker K. Palestine et Syrie: Manuel du Voyageur. 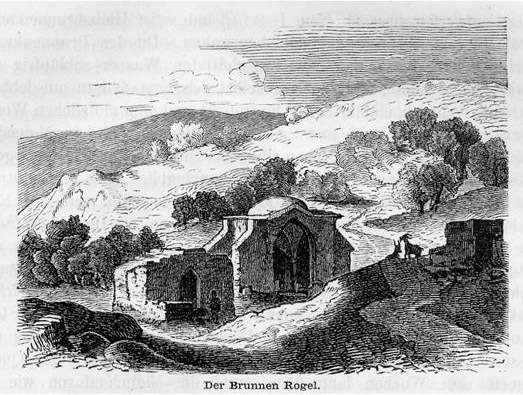 Leipzig, 1882. Baedeker 1894 — Baedeker K. Palestine and Syria: Handbook for Travellers. Leipzig, 1894. Bahat 1990 — Bahat, Dan. 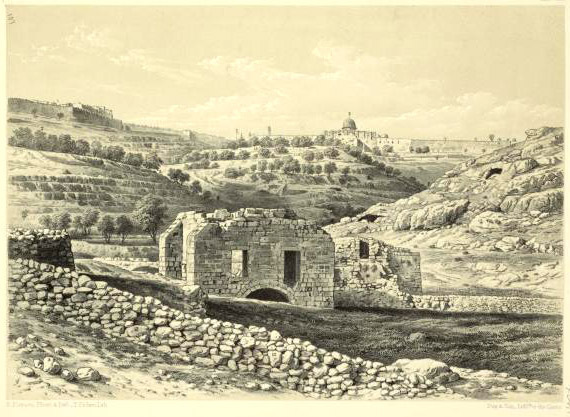 The Illustrated Atlas of Jerusalem. 1990. Benvenisti 2000 — Benvenisti, Meron (2000) Sacred Landscape: Buried History of the Holy Land Since 1948. Bertrand 1847 — Campagnes d'Égypte et de Syrie 1798–1799. Par le Général Bertrand. II. Paris, 1847. Buckingham 1822 I — Buckingham J. S. Travels in Palestine Through the Countries of Bashan and Gilead. Vol. I. London, 1822. 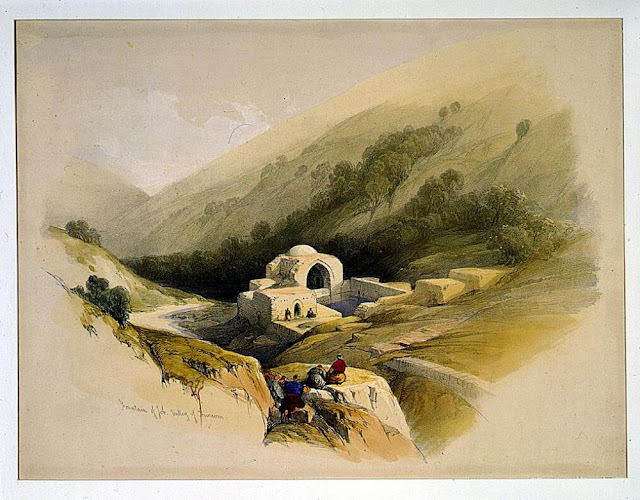 Burckhardt 1822 — Burckhardt J. L. Travels in Syria and the Holy Land. London, 1822. 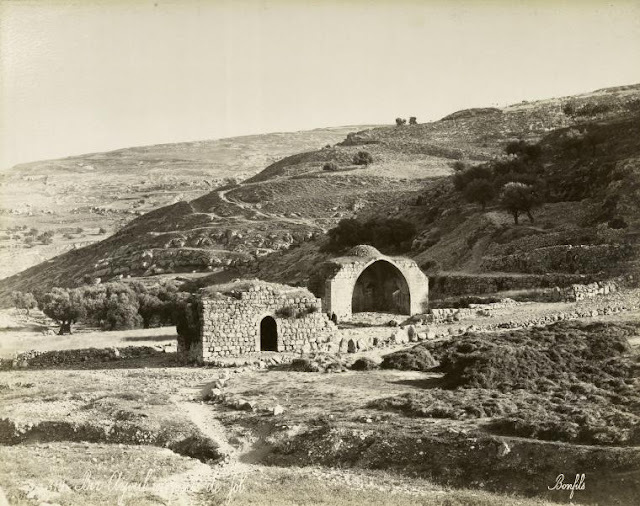 Canaan 1927 — Canaan T. Mohammedan Saints and Sanctuaries in Palestine. London, 1927. 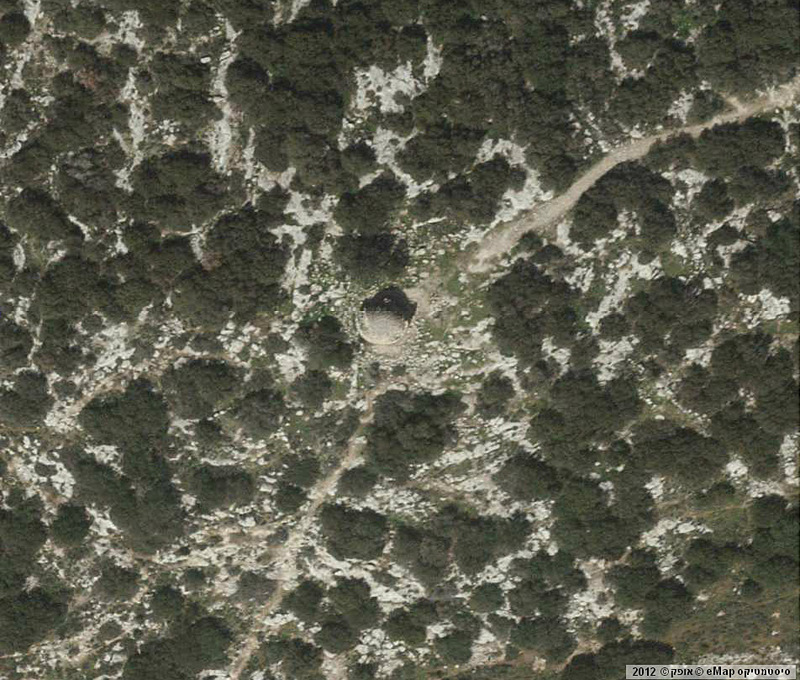 C. Clermont-Ganneau described this monument so: “At Yebna we pitched our tent near the wely of Abu Horeira. Inside this we noticed numerous fragments of marble, several stones with the medieval tool-marking, and two marble columns surmounted by their capitals. The outside of the building is rather a picturesque sight, with its lewain of three arches, its cupolas and its courtyard planted with fine trees. The consecration of the Sanctuary to the famous Abu Horeira, "the father of the little she cat," the companion of Mohammed, though it can be and has been disputed, and is certainly spurious, must date very far back” (ARP II 167–168). Marble columns with Corinthian capitals can still be seen today. Though the tomb of Abu Huraira has been here since long ago, the existing mausoleum was built in 1293 in a purely Mamluk style and for centuries was the main religious building in Yavne. It consists of two rooms: the front room and the burial chamber, where in front of the mihrab a cenotaph used to stand. 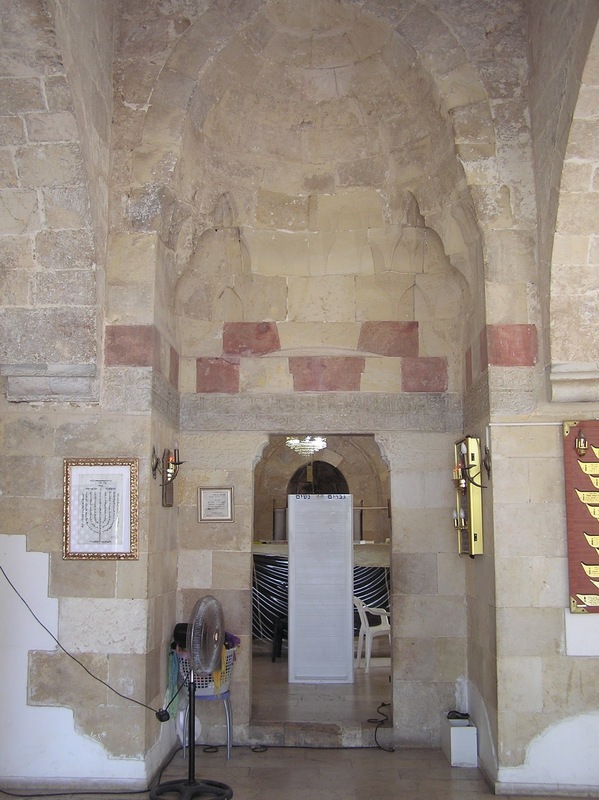 Above this room towers the central dome resting on an octagonal drum. 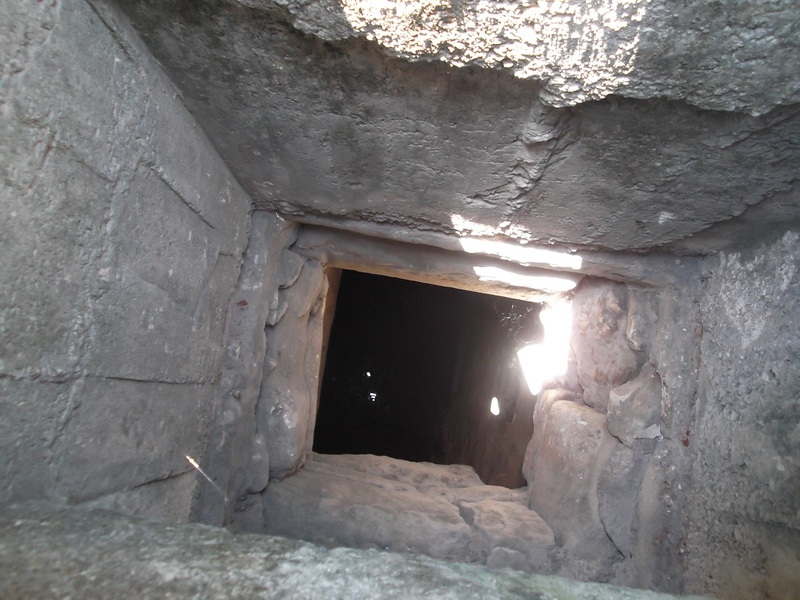 Entrance to the burial chamber is decorated with Arabic inscriptions preserved to the present day. One of the inscriptions says – in honor of the Mamluk sultan Baybars. 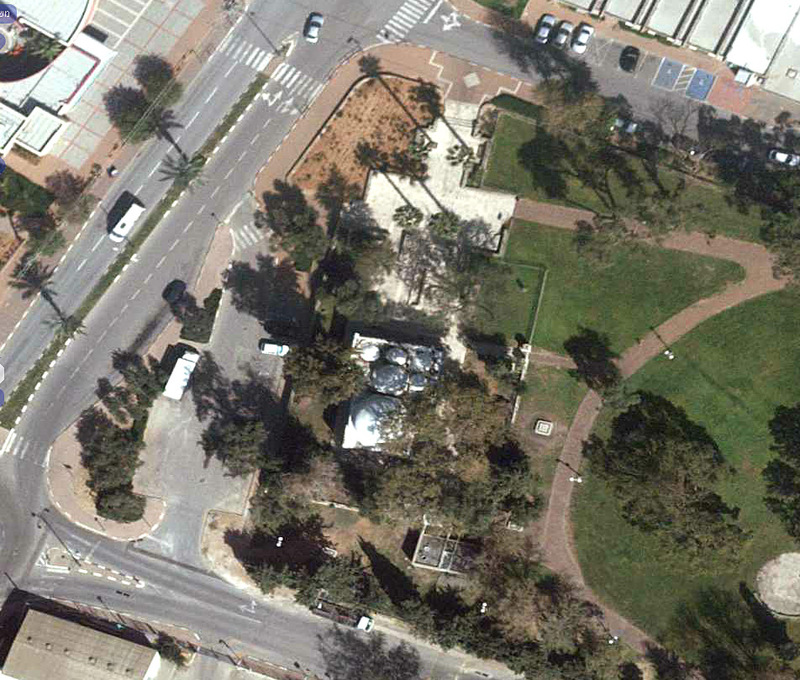 V. Guérin in 1863 found a Muslim cemetery in the yard in front of the mausoleum (Judee II, 57). C. Conder in 1875 saw a minaret located in the north-west corner of the mausoleum (SWP II, 442): The illustrations in the book by C. Clermont-Ganneau and photographs of the early 19th century show that minaret is no longer there. 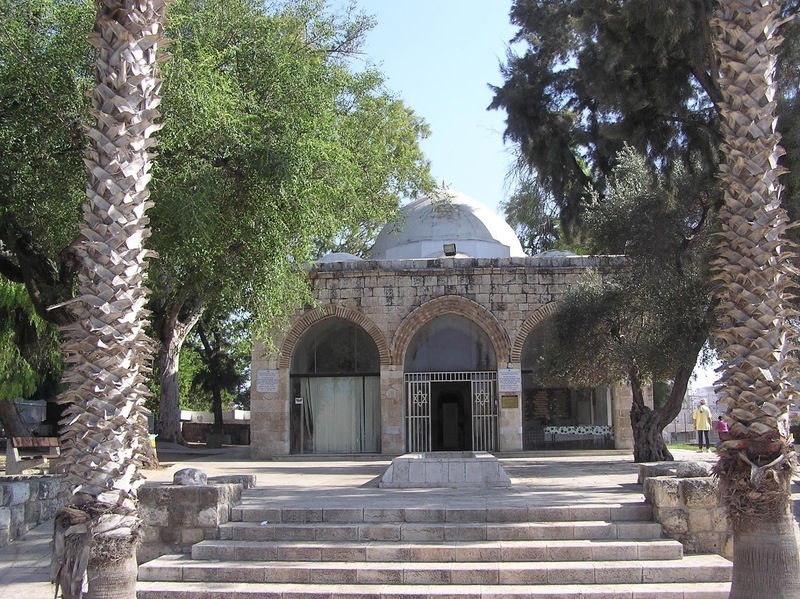 After 1948 the mausoleum was privatized by Sephardic Jews, who rebuilt the Muslim shrine and turned it into a tomb of rabban Gamaliel II. 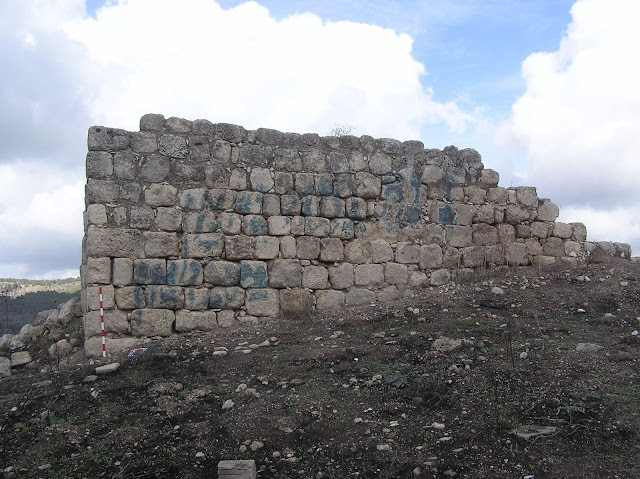 The Muslim cemetery was liquidated and the wall around it was demolished. 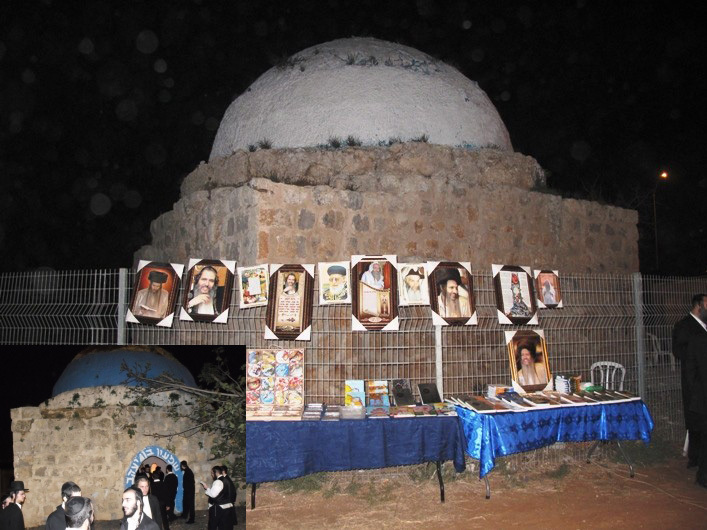 Instead of a cenotaph of Abu Huraira a gravestone in honor of Gamaliel was set; and a burial chamber was divided into two parts (one for men, another for women) by a partition. Muslims know this maqam as the tomb of the prophet Sheman (nabi Sheman). 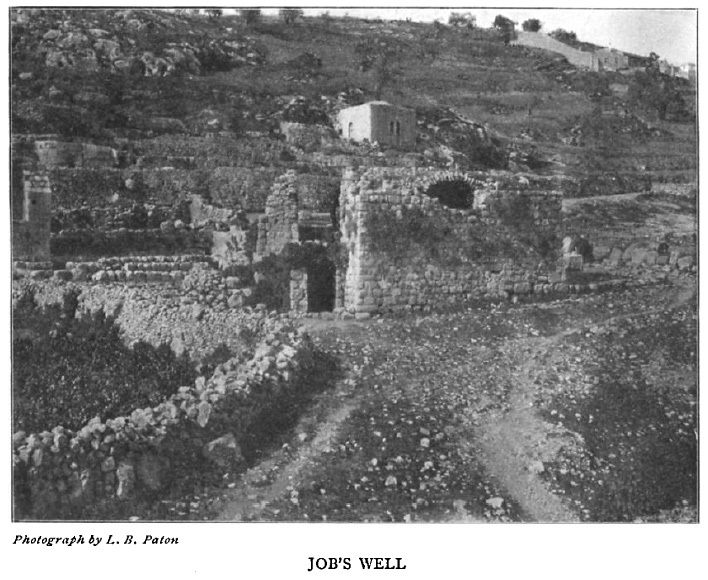 V. Guérin calls it nabi Chema'oun (Samaria II, 356). 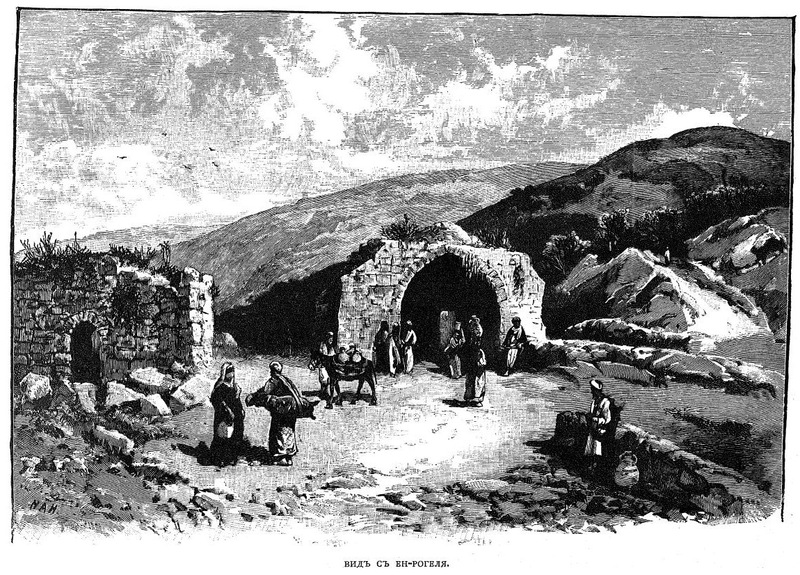 Jews were correct to identify him with their patriarch Simeon, the son of Jacob, though traditionally it was thought that patriarch Simeon was buried in Hebron. Until 2004 the building stayed in a derelict state but then the Jews decided to appropriate it. 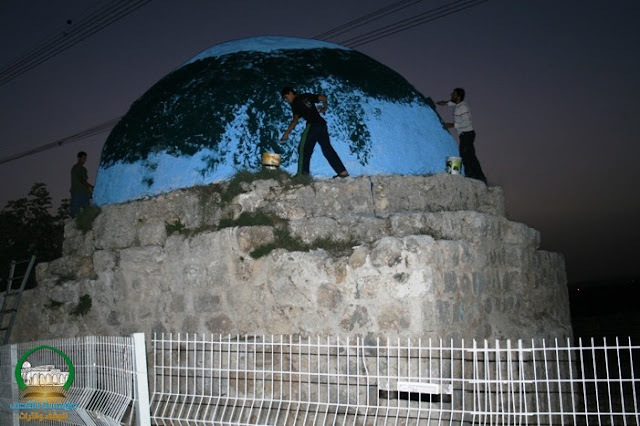 For a while there was a struggle for the shrine between Jews and Israeli Arabs: under cover of darkness the dome of the tomb alternately stained then blue, then green. Read about it in the Arabic article “Battle of colors”. After all, the Jews won. Now the dome of tomb is painted white, a fence with gate is built around the maqam, walls inside are plastered, the cenotaph is renewed and religious literature is laid out on it. A curious fact is that the mihrab is preserved. 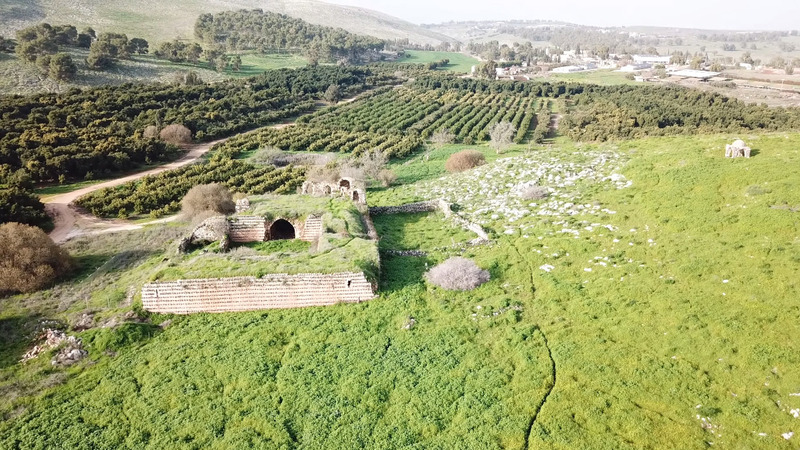 To the south of Beit Jimal Monastery at a Height 367 stands a curious circular building with a dome, which from a distance looks like a maqam. 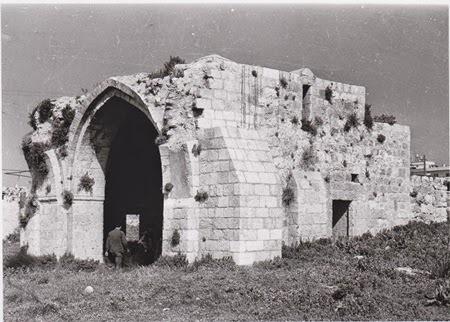 Arabs called this building al-Qasr. 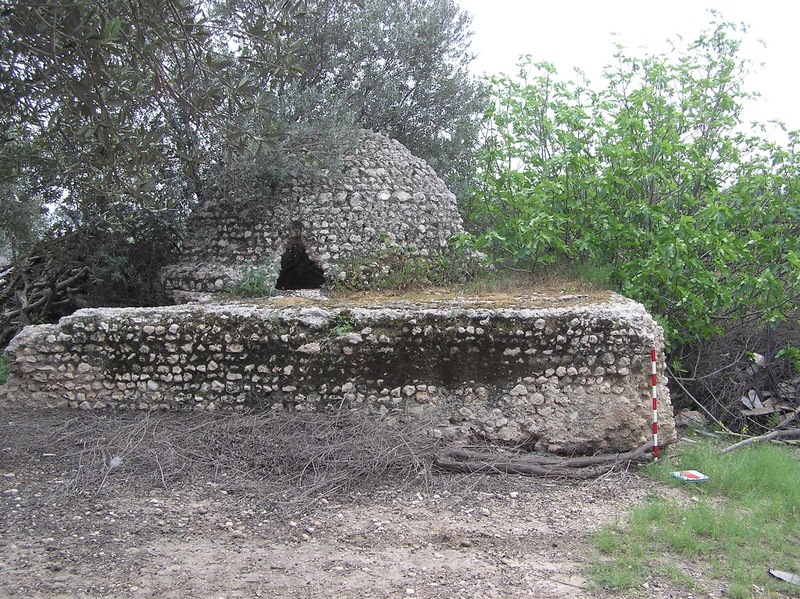 But this is not a Muslim shrine, but some kind of fortification that may be connected somehow with the Monastery. 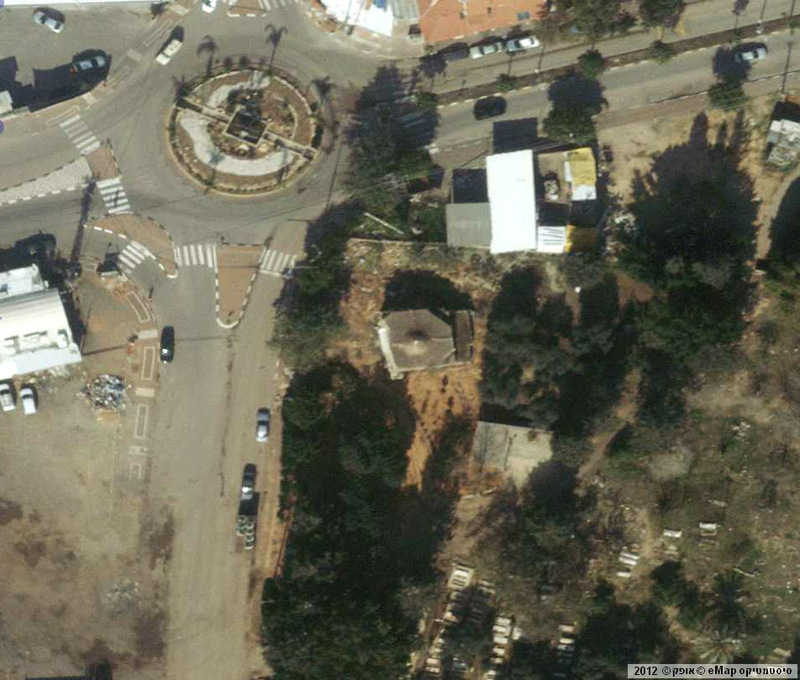 It has two entrances – on the north and on the west. 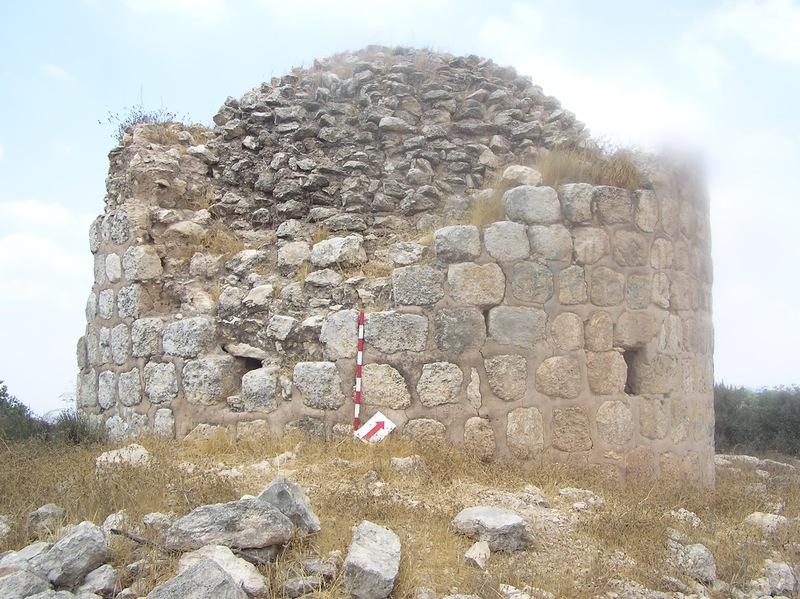 A round wall has four little loopholes which narrow closer to the front side. 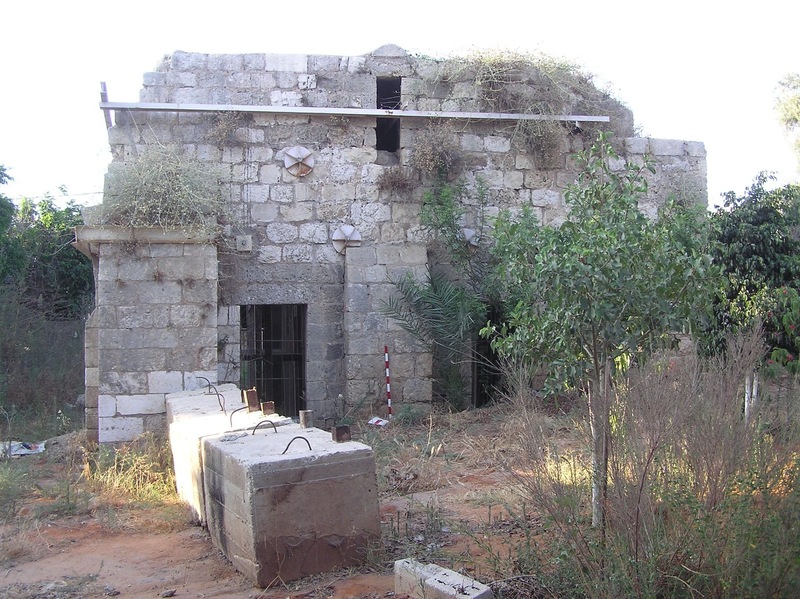 There is speculation that this building was used by Israeli forces in 1948. 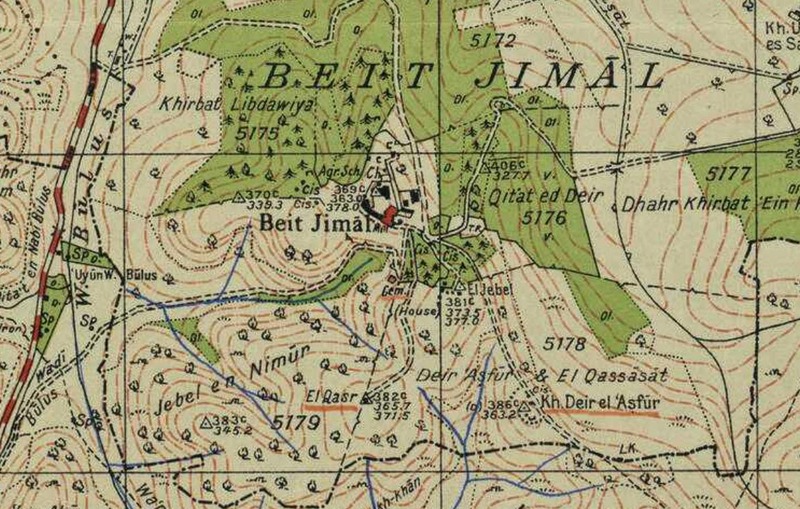 The loopholes look east and south of the Beit Jimal Monastery, the direction from which attacks of the Arab Legion were expected. Route. 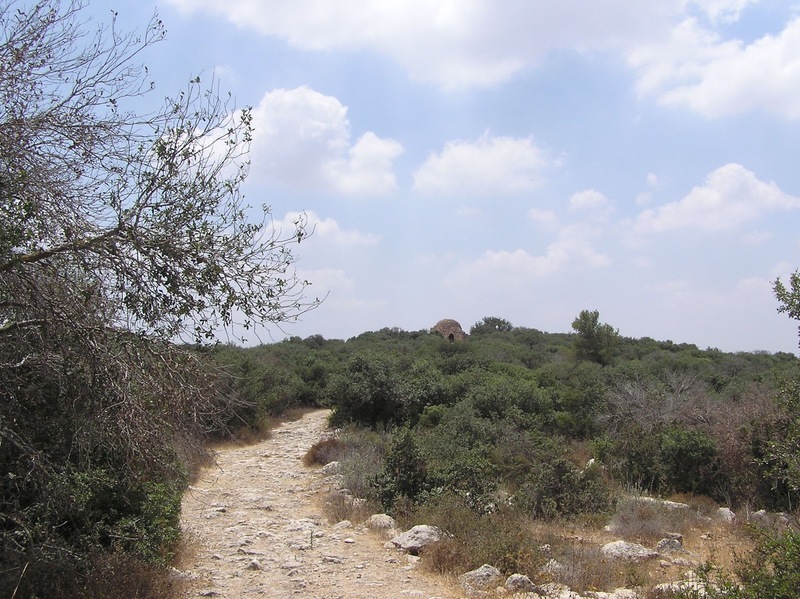 An asphalt-paved road, which branches off the Highway 38, leads to the Beit Jimal Monastery. There is a 700-meter long stone path between the cloister and the building. At a southern entry to ‘Azrikam moshav (Route 3703) there is a square structure with a dome resembling maqam by its appearance. 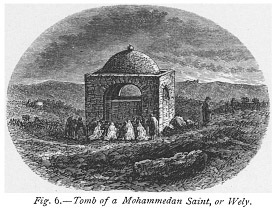 In Wikipedia it is called the “ancient arab tomb”, however, in fact this is not true. 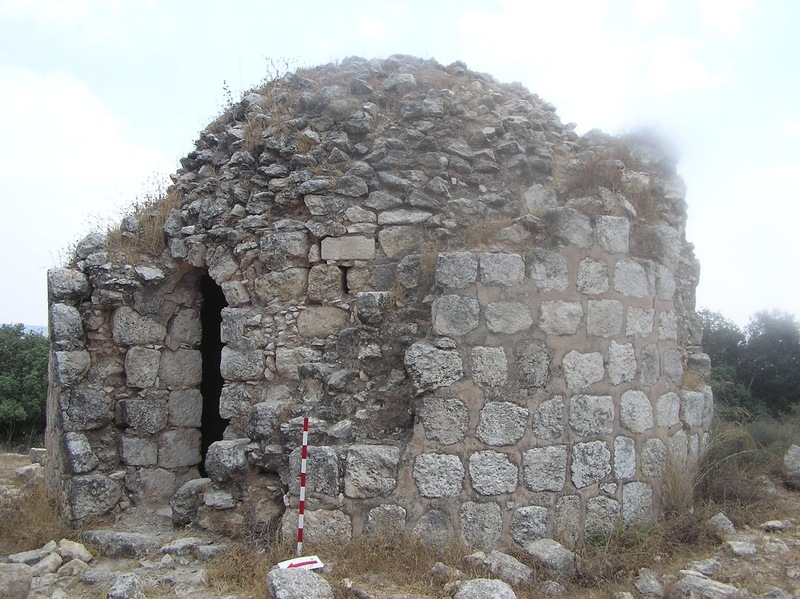 The structure may be dated to Ottoman or Mandate period; however, it is not a tomb but something like a ceramic workshop. 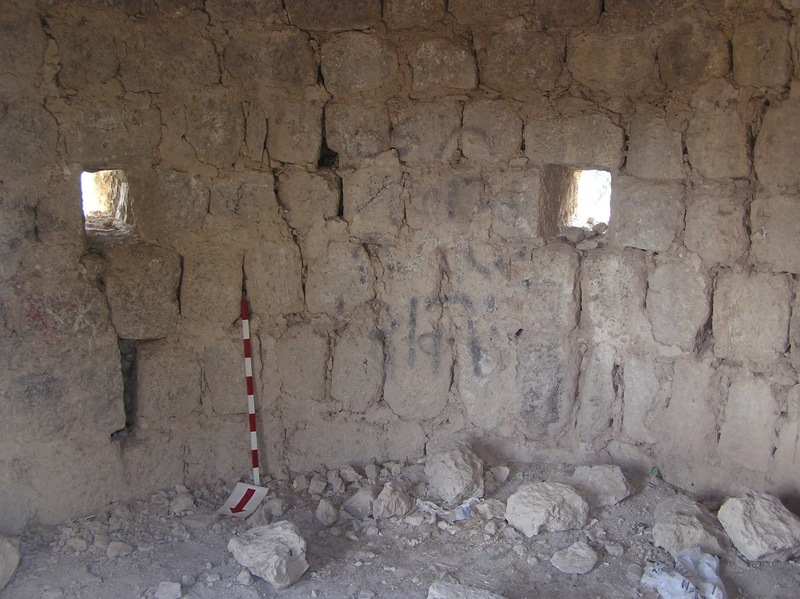 Semi-circular niches in walls inside the structure where ceramic products could be annealed point to that. 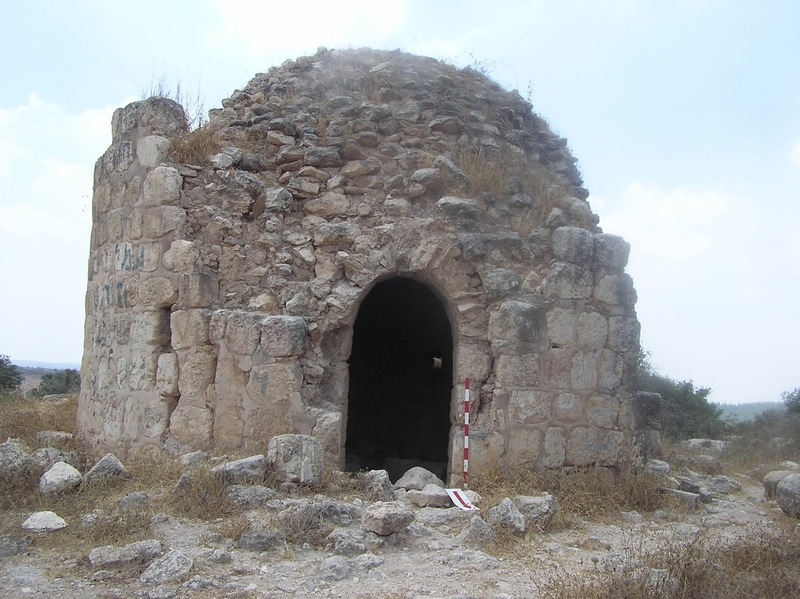 Herewith, a dome with a hole at the top, probably, served as a smoke duct. At present only the northern side of the structure is open; the remaining sides are covered with heaps of bavin wood. On Google Maps this structure is called “Maqam Abu Liyun”, although it was never a tomb. 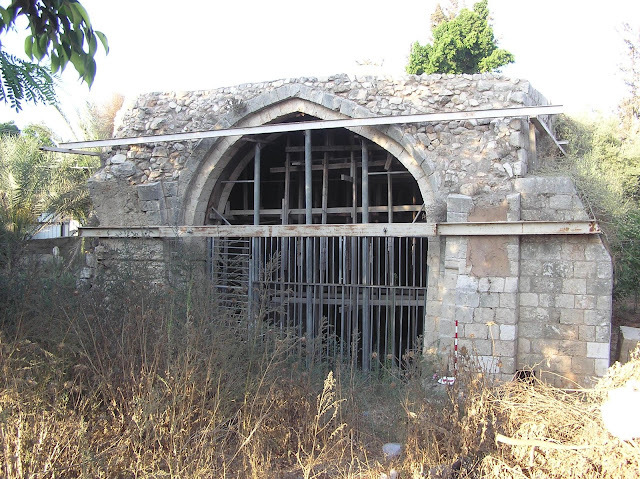 Arab residents of the village Jaljulia (a structure is located on the territory of the village cemetery) do not think it is maqam. 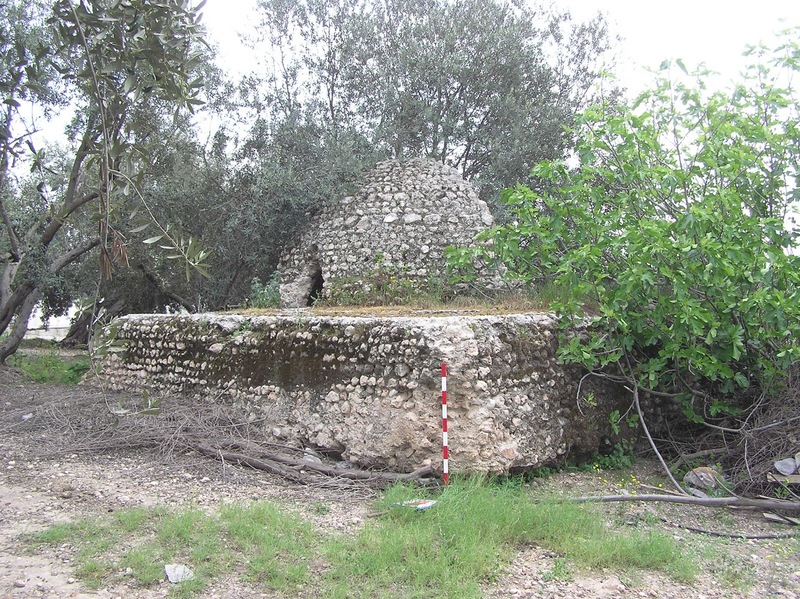 It is an abandoned, or rather laid up, mosque. Metal structures and wooden props hold together and support the building, preventing it from falling apart. 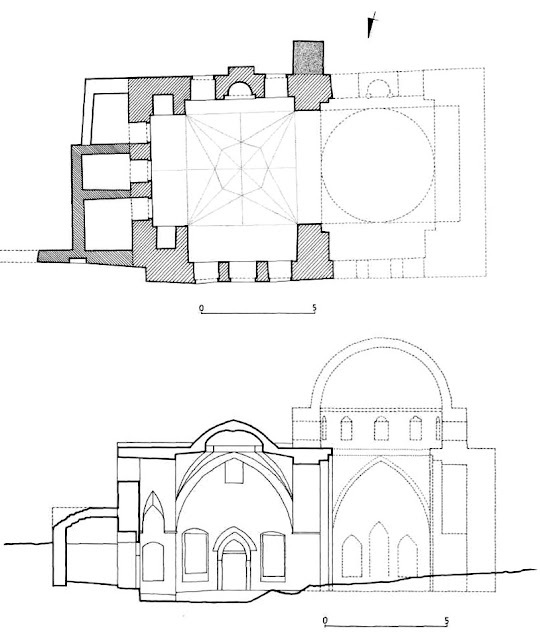 The mosque had two vaulted rooms, but only the eastern one survived; the western room, which was higher, with a large dome (Petersen 2001, 176), was destroyed by the fire of British artillery during the World War I. Now the only memory left of this room is the remains of the arches. 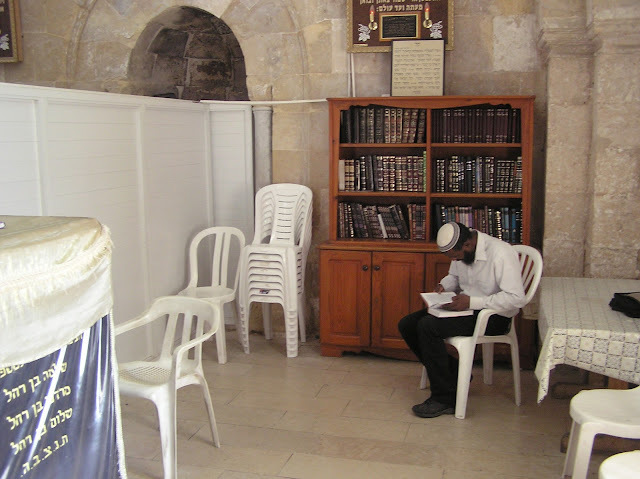 The mihrab in the eastern room survived, but it is difficult to see it because of the wooden props. 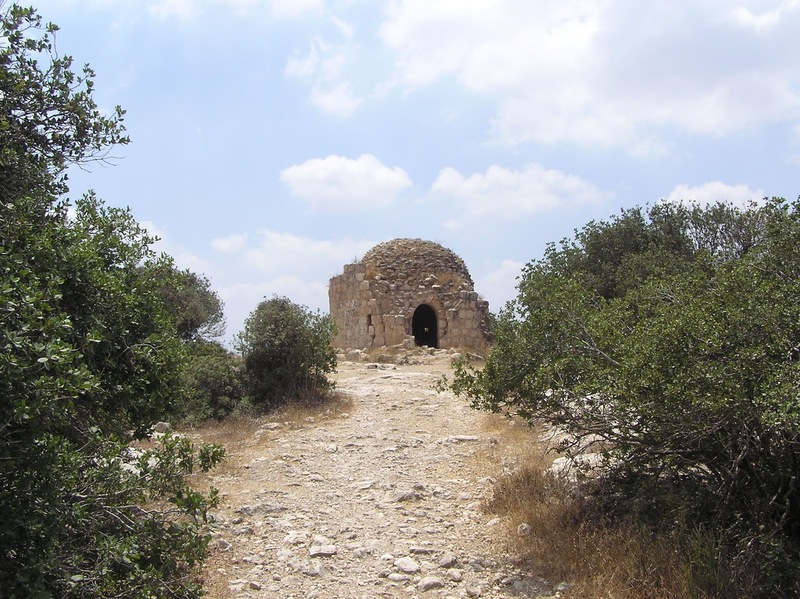 According to one of the hypothesis, the name “Abu l-‘Awn” originates from the spiritual leader of the 15–16th centuries named Shams ad-Din Abu l-‘Awn Muhammad al-Ghazi, who also built a mosque Sidna Ali near Arsuf. 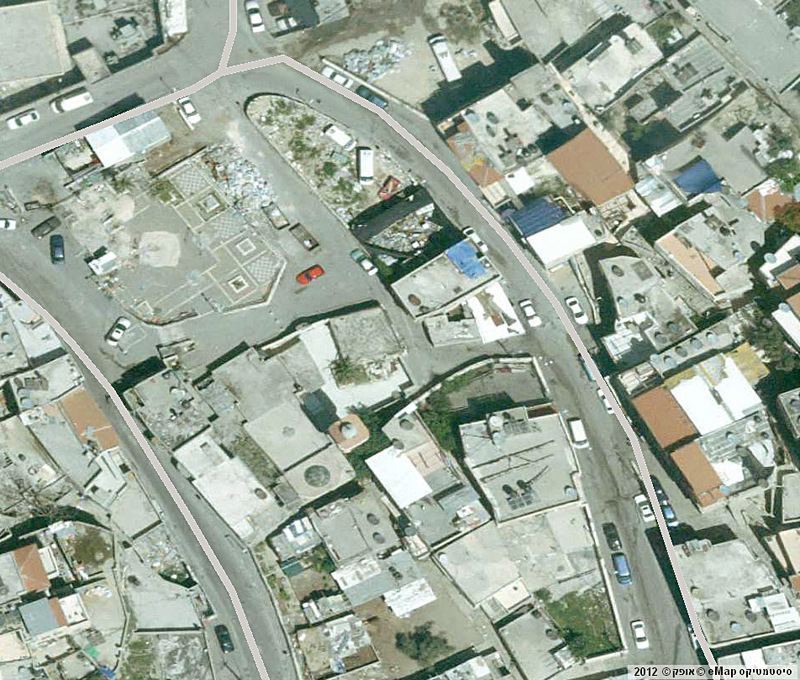 According to another hypothesis, the mosque is named after a certain commander Salah ad-Din (Saladin). 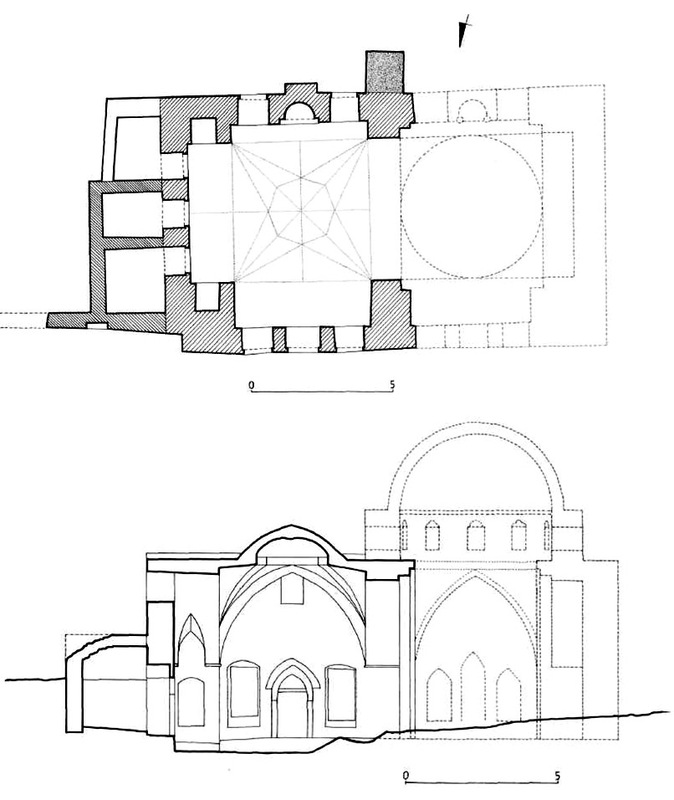 At least the appearance of the mosque matches the architecture of 15–16th centuries. Route. 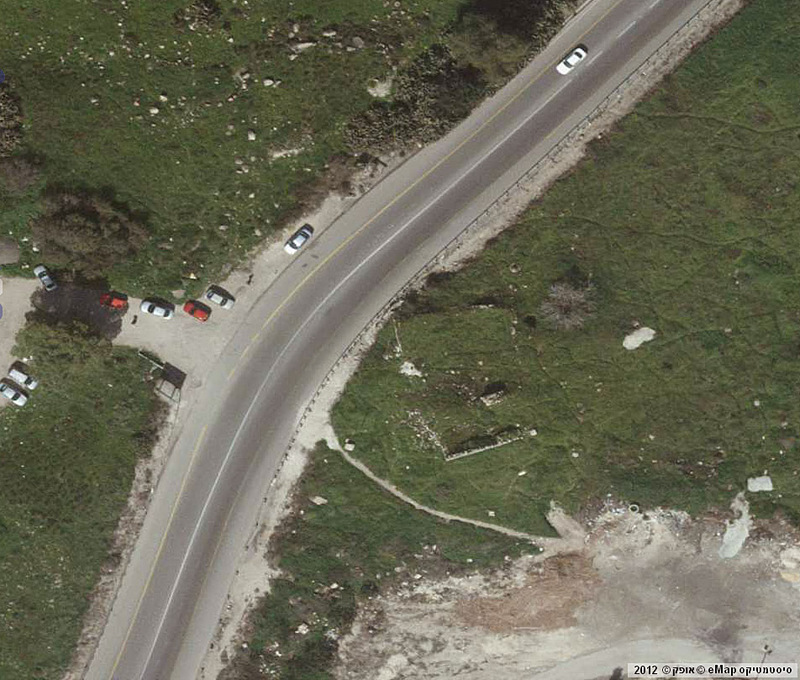 Jaljulia Cemetery is situated on the right side at the entrance to the village from the Highway 444. 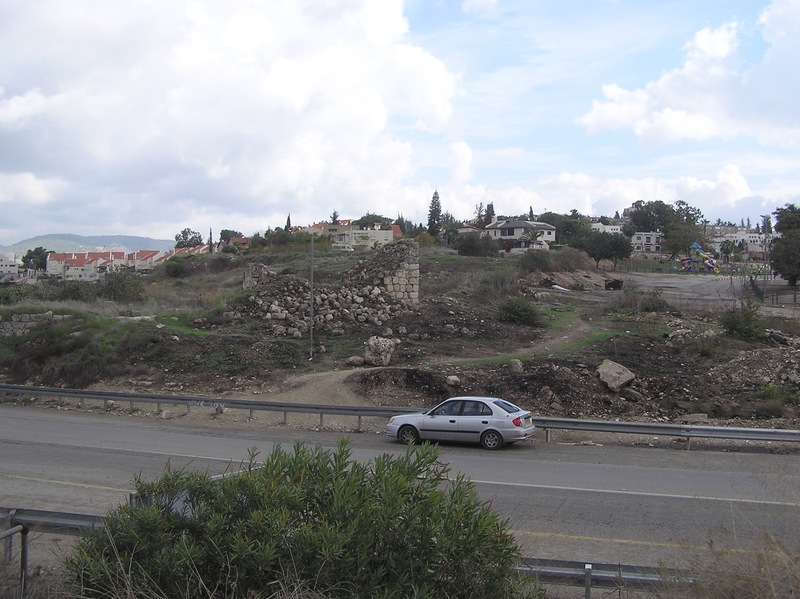 Those who drive along the Highway 38 see this archaeological object very well – Tel Beit Shemesh. On the other side of the road, on a place adjacent to the modern city of Beit Shemesh, near the highway stands a destroyed building. This is a mosque Abu Mizar – all that remains of the Arab village ‘Ain Shams. 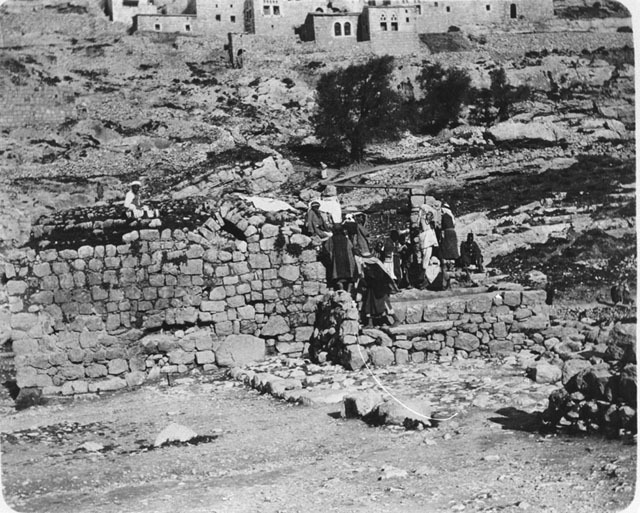 V. Guérin found this village already in ruins: only five or six poor Arab families lived there during harvest season. 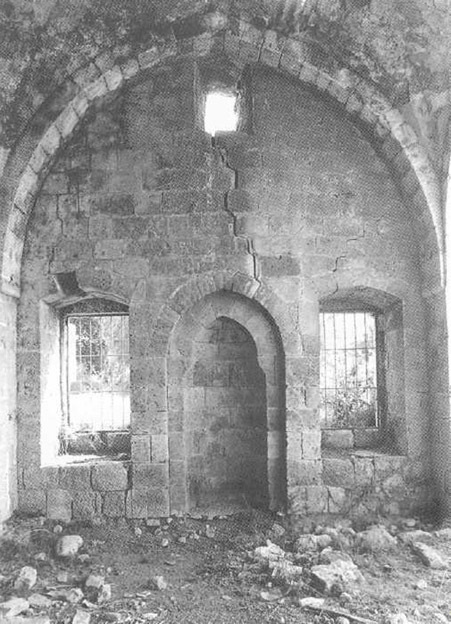 V. Guérin spoke also about the mosque of Abu Mizar (Djama Abou Mizar), which apparently was still functioning in his time (Judee II 18). 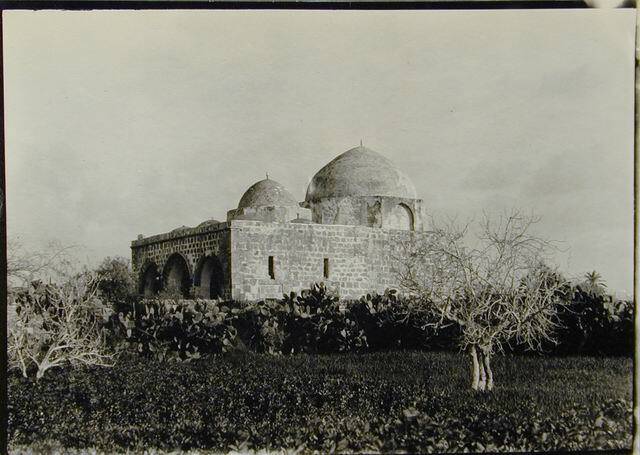 C. Conder was the first to call this mosque a maqam (Mukam of Neby Meizer), and this false designation is still used to the present day. It is not explained, who was this Abu Mizar or Abu Mazer. There is speculation that the name is misrepresented and originates from the Arabic Abu al-Azam (“the father of the might”); under this name the Arabs know the biblical hero Samson.